LONDON - Phil Rumbol, marketing director at Cadbury and the man behind Dairy Milk's successful 'Gorilla' campaign, is set to leave the company after a reorganisation by new owner Kraft. Rumbol, who has been marketing director at Cadbury since 2006, had been asked by Kraft Foods to work across the combined European organisation in a new senior position based in Zurich. The 43-year-old marketer decided the timing was not right to relocate his family. He said: "I've had four amazing years at Cadbury. I've been lucky to work with a talented internal team who I know will continue to build on the success of past campaigns as well as many creative agencies, who have helped to develop campaigns, of which I am really proud." Rumbol is credited as the architect of Cadbury's iconic advertising campaigns, including Dairy Milk's 'Gorilla' and 'Eyebrows'. He will leave in the summer of this year. Cadbury said a new marketing head for the combined company's chocolate business in the UK and Ireland would be announced in "the coming weeks". The departure of Rumbol is the latest high-profile exit from Cadbury following its acquisition by Kraft. Cadbury's executive board departed following the acquisition by the US giant. Prior to joining Cadbury, Rumbol was marketing director at InBev between 2004 and 2006 and marketing manager of brand communications at Heineken from 1996 to 2006. He started his career as marketing trainee at Rank Hovis McDougall in 1989. 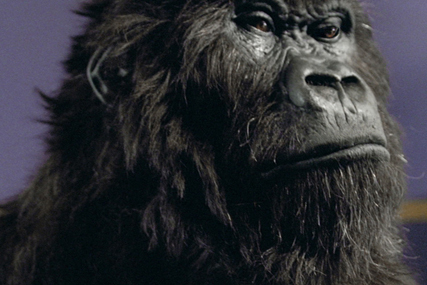 Rumbol's legacy at Cadbury will likely be centred on its iconic 'Gorilla' campaign, created by agency Fallon, which was awarded the grand prix at the Cannes Advertising Festival in 2008.